Beginning September 9, 2016, the LSU Museum of Art presents the exhibition Painting Enlightenment, featuring works by Japanese scientist and artist Iwasaki Tsuneo (1917–2002). These paintings create a contemplative journey—a meditation on the interconnectedness of the universe. Iwasaki collapses distinctions between image, text, and thought with imagery representative of both scientific phenomena and Buddhist principles. The imagery is literally formed with characters from the sacred Heart Sutra text. Iwasaki’s work expands the practice of copying sacred texts, a form of devotion with a long history in Japan. 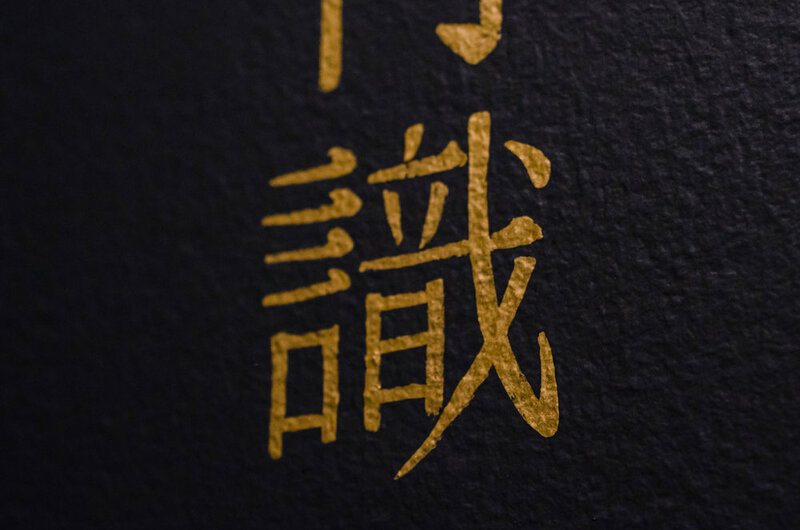 In his creative sutra copying, Iwasaki uses traditional Chinese characters to copy the text. Instead of separating the verses into vertical blocks, he reconfigures verses into images of DNA, lightning bolts, bubbles, atoms, and ants. Painting Enlightenment will be on exhibition at the LSU Museum of Art through November 27, 2016. View the exhibition's supplemental gallery guide below. Generous support for this exhibition provided by the Imo Brown Memorial Fund and LA Machinery, with additional support from the LSU Philosophy and Religious Studies department, the LSU Asian Studies program and Jim Stone Co.
Beth Zagurski with Red Stick Peacemakers will guide attendees in beginners’ yoga. Free to attend. Panel discussion: "Atomic to Cosmic: Science in Painting Enlightenment"
Learn about scientific phenomena depicted in Painting Enlightenment with LSU astrophysicist Geoffrey Clayton, quantum physicist A. Ravi P. Rau and evolutionary biologist Dominique Homberger. Free to attend. Learn mindfulness practices and participate in a brief meditation followed by a Q&A with Thay Thich Dao Quang from Tam Bao Temple. Guest curator Paula Arai will give a basic overview of Buddhism and its representation in the current exhibition. 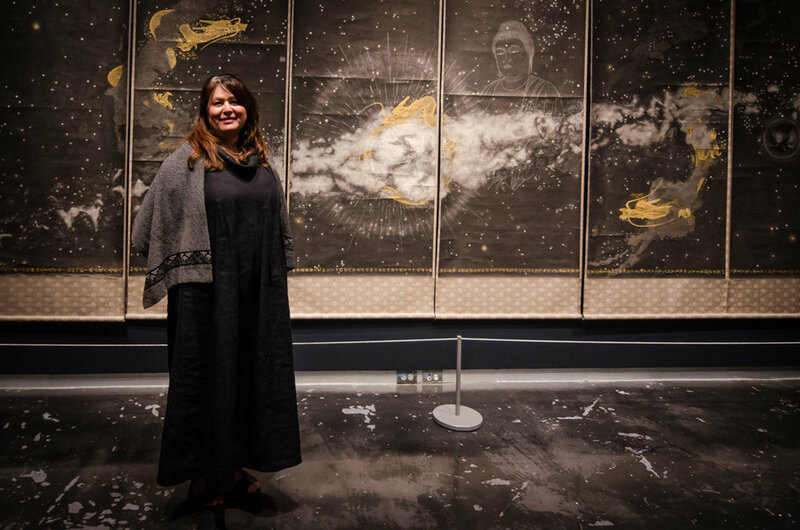 One of the most striking features of the “Painting Enlightenment” exhibition is the sixteen-foot wall with gold Heart Sutra text descending downward like rain. One design element that seemed essential to our exhibition of Japanese scrolls was a zen garden. So long as I met the aesthetic rules required of zen design by our guest curator Paula Arai, working out the construction according to museum standards was the next hurdle. With addition of a few simple activities to Painting Enlightenment, with low barriers to participation, we’re encouraging reflection and a shared experience among our visitors that fosters not only a more engaging experience, but also a sense of community and agency. Art Scouts' Bruce Morgan discusses enlightenment with Painting Enlightenment guest curator Paula Arai.